Revelation shows Assad's Syria regime propped up by crude oil imports from Iraq slipping past sanctions via an Egyptian port. Recent reports reveal that Syrian President Bashar Assad's regime has been supported by Iraqi crude oil imports, which for the past 9 months have slipped into the country via the Egyptian Sidi Kerir port in violation of Western sanctions. While Syria has been primarily relying on Iran for oil, Al Jazeera reports that a Reuters investigation based on commercial documents reveals millions of barrels of crude oil have come from Iraq, under the supervision of Lebanese and Egyptian trading companies. Half of Syria's 17 million barrels of crude oil imports from February to October were reportedly from Iran, while the other half came from the Sidi Kerir port; at least half of those shipments were from Iraq. Overseas Petroleum Trading (OPT) in Lebanon along with Egypt's Tri-Ocean Energy were involved in arranging a number of the shipments. OPT apparently billed Syrian national Sytrol almost $250 million for 2 deliveries of Iraqi oil, an inflated price to compensate the risks of breaking sanctions. The price works out to roughly $15 million extra for each delivery. The revelation follows opposition force's shadow "Finance and Economics" Minister Ebrahim Miro estimates about Assad's foreign support. In early December, Miro claimed that Assad has foreign aid packages from "unknown sources" supporting his war efforts, with a value of up to $50 billion. Miro also stated that while the Syrian war has cost Assad $25 billion, he has several billion dollars more in reserves, meaning that economic sanctions would not stop the war. In October, US President Barack Obama's administration claimed the government shutdown hurt efforts to sanction those "enabling" Syria. 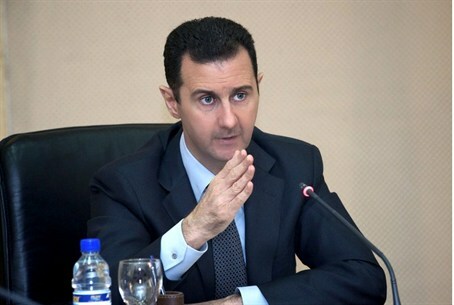 Assad's government recently reasserted its demand to allow Assad to run for re-election in an interim government. Russia previously offered rare criticism of such statements, as they come in direct contradiction to opposition demands that Assad not be part of a transition government. The Syrian conflict is now in its third year, having left over 100,000 dead and created over 2 million refugees. Geneva II peace talks seeking to resolve the conflict will start January 22.